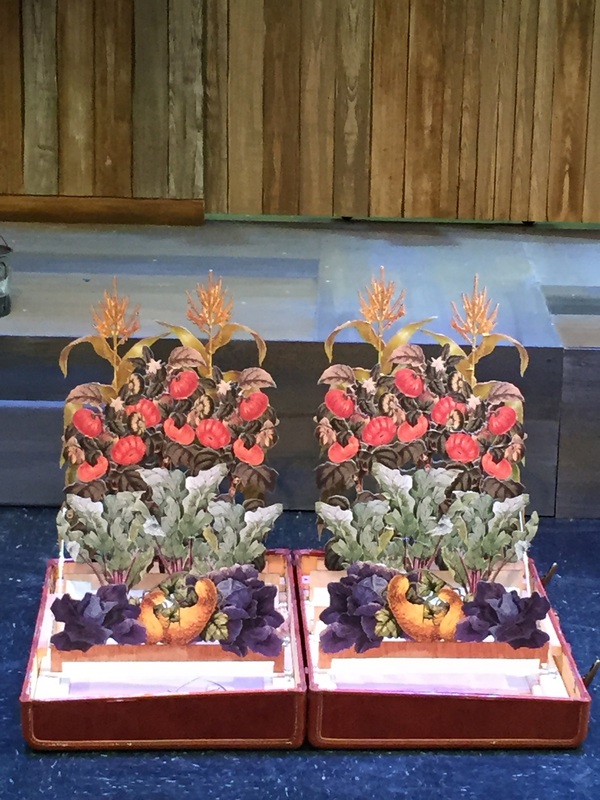 Work-in-progress shot of Joan’s garden-in-a-suitcase prop for The Miraculous Journey Of Edward Tulane opening this weekend at Bay Area Children’s Theater. 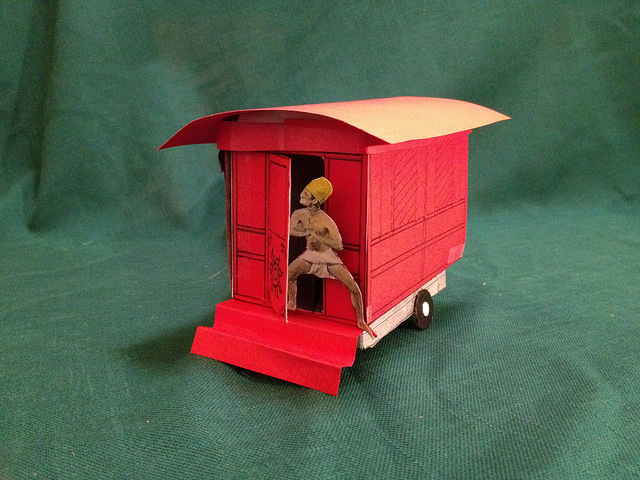 We’ve received a 2014 Theatre Bay Area CA$H Grant to build FluxWagon, our mobile stage, for the summer tour of O Best Beloved. 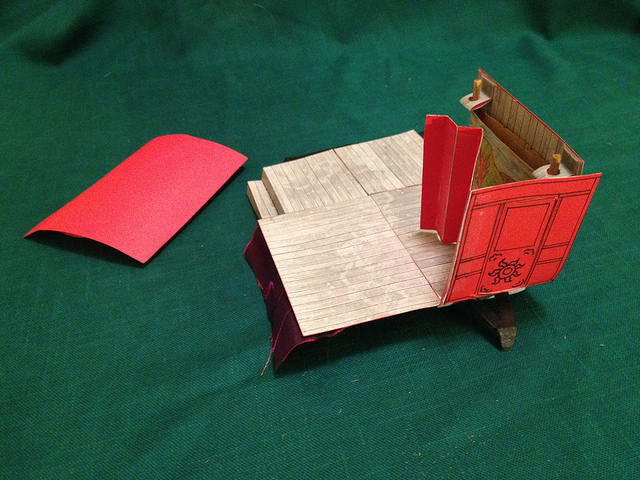 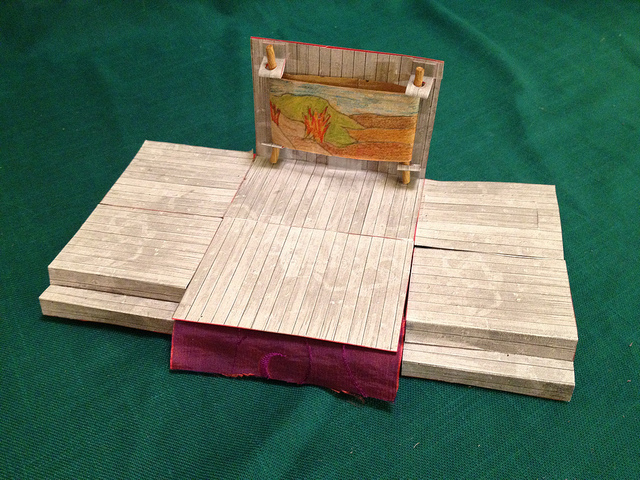 Here’s Joan’s model of FluxWagon, unfolded as the OBB stage… and below, the story of its unfolding!